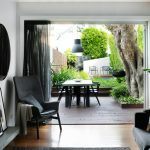 For the owners of this Sydney property, Shaun Wright, senior designer at A Total Concept, has created a space that incorporates everything a family could want for both day-to-day living and weekend socialising at home. 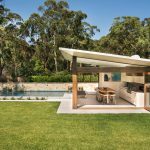 The rear of the property looked out onto a bushland reserve but had little privacy from adjacent neighbours, so A Total Concept bounded the entire area with a formal hedge garden. 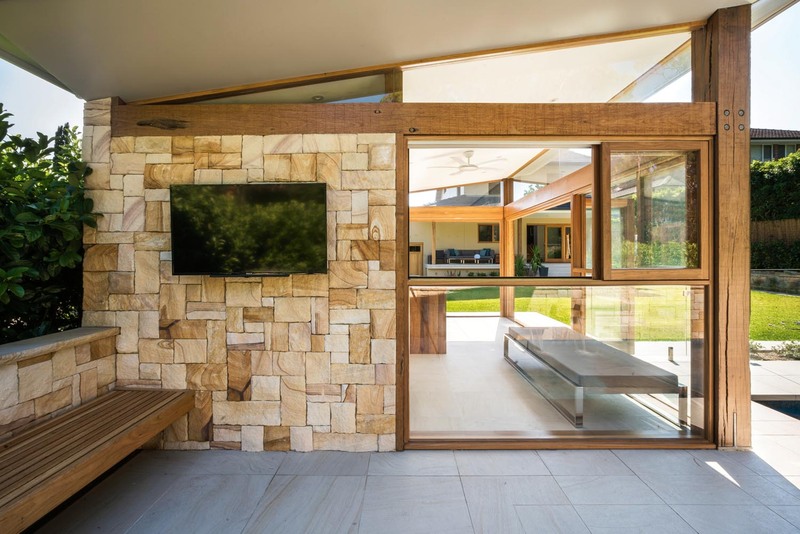 This created a concealed space in which Shaun was able to develop a stunning outlook from the kitchen and living areas of the home.The cabana services the pool users in the family and incorporates a small entertaining area for relaxing and enjoying the wall-mounted LCD television. 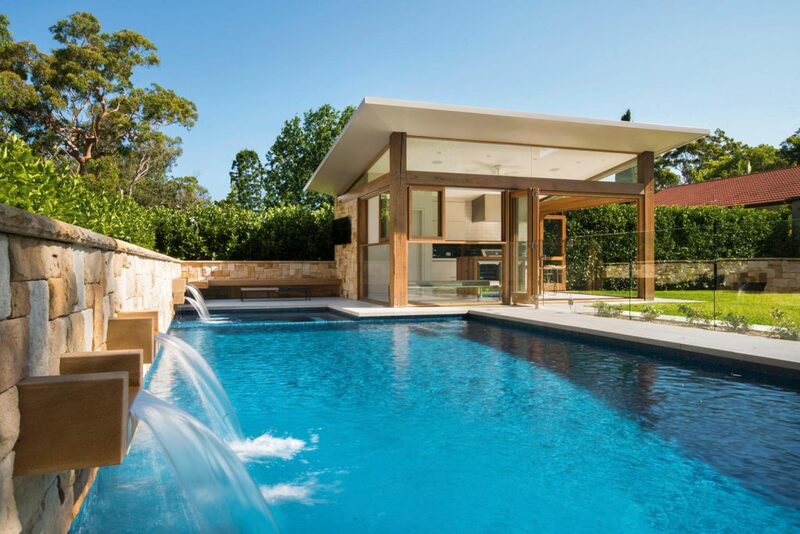 The project boasts simple clean lines to integrate the home with the pool, cabana and garden area. 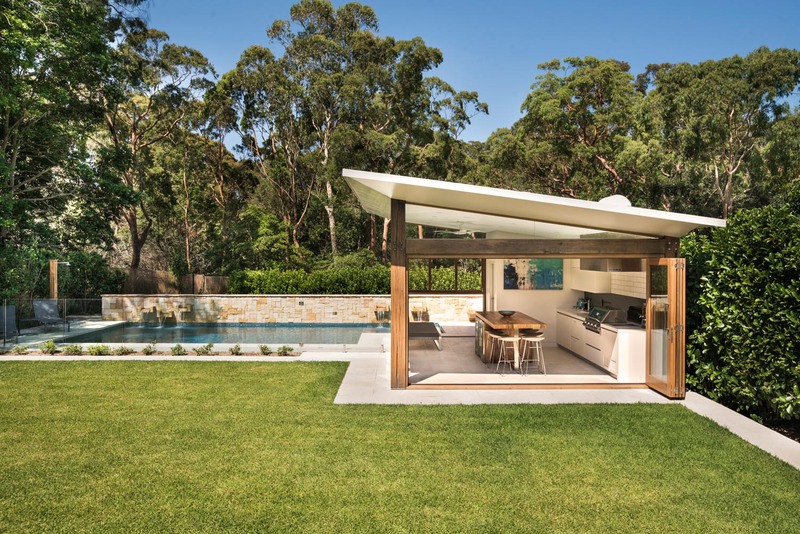 The roof of the poolside cabana has been designed as a skillion and allows for very high ceilings to visually increase the size of the cabana, with ceiling fans to keep temperatures cool in summer. 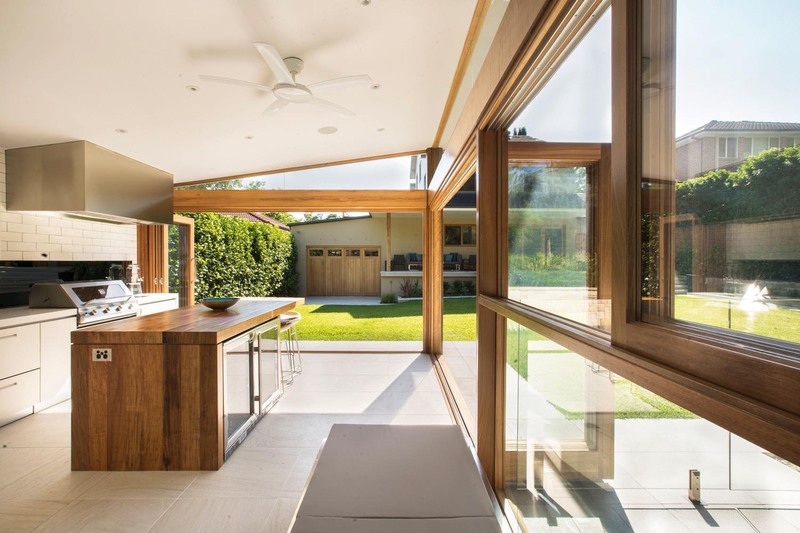 There are also ceiling speakers as well as LED Gimbal lighting. 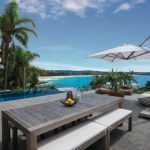 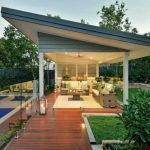 Seasoned second-hand bridge timbers were used in the construction of the cabana and upgrading of the home, together with sandstone patterned porcelain paving to poolside areas, cabana and the verandah to create a seamless link between all spaces. 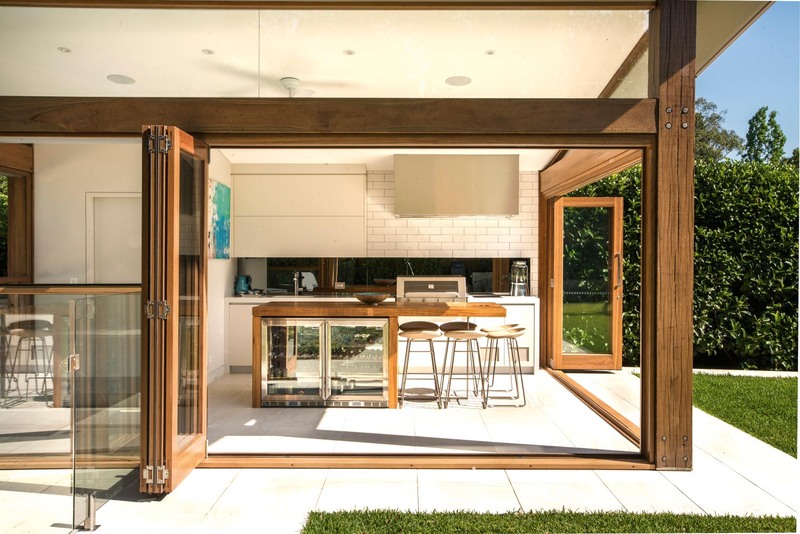 The owners are great entertainers and love cooking, so special attention was paid to the outdoor kitchen. 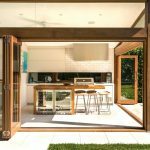 It features intricate built-in cabinetry with mirrored glass splashbacks, a Caesarstone benchtop with waterfall sides, an under-mount sink, stainless-steel fridges, drawer dishwasher, eight-burner barbecue and wok burner. 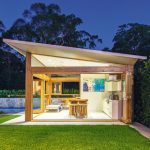 At night the poolside cabana is well lit with both concealed strip lighting and LED downlights. 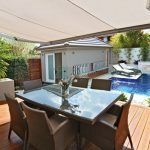 Together with energy-efficient LED lights in the swimming pool and garden areas, these lights create mood effects with washes of illumination. 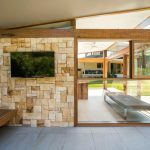 A quality internal/external sound system with all the electrical components such as lights, irrigation and the swimming pool heater are linked to the cabana and residence electrical switching system. 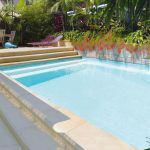 The large pool steps and extensive underwater benches act as a safe haven for younger children and double as informal seats within the pool. 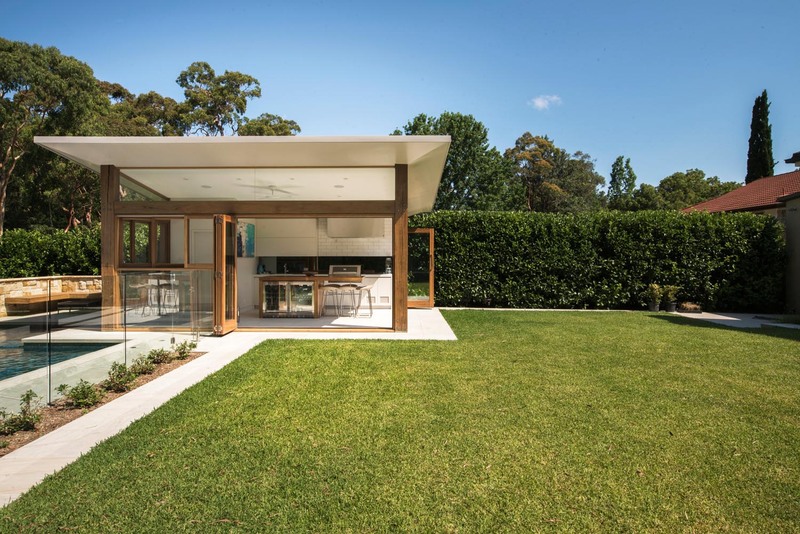 Combined with the heated spa, this space provides the perfect warm place for the parents to relax and chat. 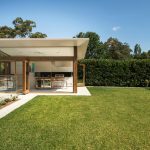 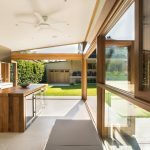 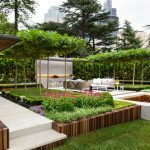 The property receives sun most of the day and shelter from wind due to its aspect, and boasts a contemporary and minimalist garden which contains a limited palette of viburnum, gardenias and box. 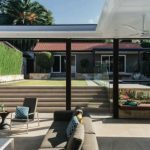 This overall project, designed and project-managed by A Total Concept Landscape Architects & Pool Designers, integrates the home, cabana, pool, lawn and gardens seamlessly. 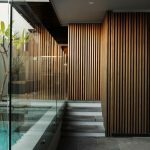 The company has created a stunning space with a holiday-at-home ambience for family fun and entertaining, as well as a private retreat for escaping the stresses of work at the end of the day. 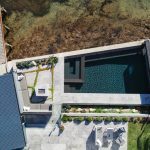 A Total Concept is an established award-winning design and management practice specialising in the integration of beautiful and functional swimming pools, gardens and cabanas for projects ranging from simple family homes and elaborate residential properties to boutique and resort-style developments. 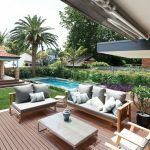 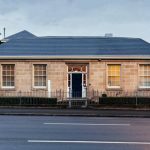 The team at A Total Concept have succeeded in creating a beautiful environment for the owners of this residence that reflects the practice’s philosophy of “A Total Concept” and adds immeasurably to the lifestyle, amenity and value of the property.